About me60 years old. 4 years in the Coast Guard. Retired from the Postal Service in February 2013. That was nice. I can be a bit lazy though. 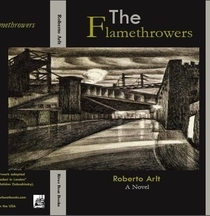 Translator of Roberto Arlt's The Flamethrowers available at River Boat Books (see profile picture) and completing the two part book into English for the first time as River Boat has also reissued Naomi Lindstrom's translation of The Seven Madmen. I'm Married. Two grown up kids. One with a degree in Geology--the other a degree in Physics. Anyway I like to read. I like to mess around with my guitars. I like punk rock a lot and have a lot of vinyl from the late 70's--early 80's to prove it. I like Celtic punk. I like Ska and I like Reggae. I like to drink IPA's, stouts and porters. I've been following the New York Rangers since the 1971-72 season. That's a pretty long time. I'm pretty rabid about them. I like to travel. I would like to go overseas more but I've only been to Ireland once. About my libraryHave an interest in literature in translation. I buy and sell (try to anyway) books that I want or don't want on Half.com. I have been focusing a lot lately on literary thrillers particularly those coming out of Europe. I have somewhere around 150 signed books. IMO LT was and is a brilliant idea. I love the format--the updating LT does always seem to make the site better, more accessibe and more fun.